Welcome to the Good News Across America page! Good News Across America is an exciting and effective way for churches to impact their communities for Christ. Imagine multiple churches in a major city getting outside of their walls and being on mission in their community. The opportunity to share the Gospel, build relationships, and welcome new families to the church are incredible. 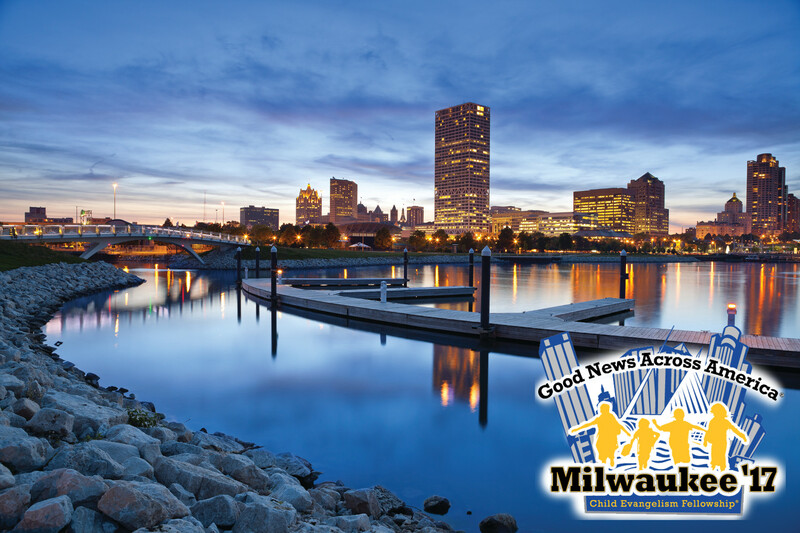 The Lord has used Good News Across America to share the Gospel with over 30,000 children across the nation, and the fruit of that ministry is remaining in cities like Chicago, Little Rock, Boston, Salt Lake, Minneapolis, Denver, Portland, and Indianapolis, and Milwaukee. Our most recent outreach was in Milwaukee. Click here to read an article about all that God did to make an eternal impact on the children and families of Indianapolis. If you would like a proven, effective way for your church to reach the families in your neighborhood, please contact us to learn more. If you are a CEF staff member, summer missionary or Good News Club volunteer, find more information here about how you can be a catalyst for effective children’s ministry. Plan to join us in the summer of 2019! There will be more than one location. The destinations are yet to be determined. Good News Across America is a ministry of Child Evangelism Fellowship.